Today I’ll be looking at the actual process of selling your business – from employing a business broker, to meeting prospective buyers, due diligence and the contract. You’ll need to employ a transfer agent or a business broker to manage the sale for you, unless you have plenty of time and an amazing accountant! With someone else to manage the sales process, you can concentrate on running your business. It can take between six months and two years to sell your business. A business broker can help with a lot of the preparation work. He or she can market and promote the sale of your business, validate prospective buyer’s credentials, give guidance on the valuation, and assist with all meetings and negotiations. Because they have gone through the process many times, they know what can go wrong, and should save you time and money. Business brokers either charge by the hour or agree a success fee when your business is sold. Expect to pay 3% or more of the sales price. Also expect to pay a setup fee starting at about £3,000. If there’s no setup fee then you can expect to pay a 5% commission on the sale price. Some may ask you to agree a set fee. I don’t recommend this option. Always check the contract, especially the small print including any cancellation clause. A transfer agent is similar to an estate agent. They advertise businesses for sale and are not as actively involved as a business broker. Choose a broker or agent that has experience selling businesses in your market. You also need to have a good working relationship with them as it can be a long process. If your business is small and not complicated I suggest you look at selling it yourself. 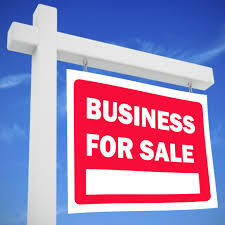 There are dedicated websites such as BusinessForSale.com, Business-Sale.com, BizSale.com or DaltonsBusiness.com. Use an anonymous profile, summarise the business, its revenue, profits and cash. Included details such as its general location, the reason for sale and contact details for further information. You could advertise the sale in your industry’s trade press to attract competitors. Alternatively, you could write a targeted letter to prospective buyers. Consider how any communication can impact on your staff, customers and suppliers. Decide what you want from the sale. This should help you formulate the questions you’ll need to ask any potential buyer. Why is the buyer interested in your business? Have they been looking to acquire a new business for a long time? Research your potential buyer. Find out whether they’ve bought a business before and for what value. Did they make a success of it? This is relevant to businesses of all sizes. You only have to look at the recent demise of High Street chain BHS following the sale by Sir Philip Green to Retail Acquisitions, controlled by Dominic Chappell, a former racing car driver. The first thing to get in place is a confidentiality agreement to protect your business information from being leaked. This could impact on your business value, and undermine relationships with staff, suppliers and clients. Your accountant will provide the financial supporting documents for your buyer. You or your broker will want to meet the buyer. Do this away from your business premises. The buyer will usually take the lead, as they’ll have lots of questions. How soon does the buyer want to complete? What’s the proposed length of the handover? Will the buyer need you to be involved in the business, at what level and for how long? Does the buyer want to keep your staff? Don’t commit to anything at this stage. Be ready to make compromises and make sure the deal is fair for both parties. Always stay positive during negotiations and work with the buyer to find a solution. This will outline the main terms of the sale, for example the price, date of payment, and any handover period. This is the starting point for the contract. Make sure you know the tax implications of selling your business and seek advice. A tax expert can also help you make the most of the sale proceeds. This is where your buyer’s advisers investigate your business. They’ll look at contracts, financials, assets, stocks, customer and supplier lists, your operations, staffing levels and bank records. They’re trying to ascertain that what you have said about your company is accurate. The buyer’s solicitor will usually draw up the contracts and initiate the due diligence process. Your solicitor will need to review all documents to safeguard your interests. Your solicitor should be with you at meetings. Make sure you agree the solicitor’s fees before appointment. This document is based on the heads of agreement, and includes any items raised during due diligence as well as standard clauses. It covers the sales price, any future payments, guarantees and restrictive covenants. Warranties, shareholders’ agreements, and any share options agreements are also included. The contract will be over 50 pages long! You’ll need a tax clearance letter, which states that HMRC accepts the deal and won’t challenge it. Your accountant or solicitor can help with this. Negotiations will take time. Contracts will probably be amended many times before both parties are satisfied. At the final signing you should have your business’s statutory books, the certificate of registration, and all share certificates, keys, bankcards and chequebooks. You’ll have to sign a lot of documents and all signatures will need witnessing. Just like buying a house, the buyer transfers funds into his solicitor’s bank account. Funds are then forwarded to your solicitor, and then onto you – less their fee. The sale announcement will then take place. This needs to be agreed with your buyer, as you do not want to upset them. In drawing up the announcement, also consider the business’s clients, suppliers and staff. Employees will either be transferred across under TUPE regulations or they’ll face redundancy. If the new owner keeps you on as an employee or consultant, a big part of your role will include helping to reassure staff or to help manage the process. It’ll also help the new buyer if you contact suppliers and customers to explain the change of ownership. Things will change but not immediately. Selling your business can be a daunting process so please get in touch if you’d like more detailed advice. In my last 2 blogs I’ve explained how businesses are valued. Today I’ll be looking at preparing your business for sale – whether it’s a partial or full sale. Before you start preparing your business for sale, you must decide whether you want to leave the company or whether you want to still play a part. Perhaps you want to take on a different role? Perhaps you want to only sell part of the business? Perhaps you want to be a partner, director or shareholder? Or perhaps it’s time to start afresh, with a new business or retirement? This is an option worth considering. By selling part of your business you can still draw an income and remain part of the decision-making. But be aware that if your percentage shareholding drops to below 50 per cent you may have to go along with what other shareholders want. A partial sale will give you a lump sum of cash to invest in other projects, or simply to enjoy a long-overdue luxury holiday! This approach is a lot less risky as you are divesting your assets, which means less stress and a better work life balance. Also, the buyer will see that if you want to keep part of the business you must be confident that it is in good shape. So what do you need in place for a partial sale? You’ll need a shareholder’s agreement to protect you against the buyer making decisions that could damage your share value. Examples could include the reduction of your shareholding or an increase in the buyer’s salary to reduce the profits. The agreement should include everything that will need shareholders’ approval – from salaries and expenses to issuing further shares and dividend distribution. Remember to include a ‘drag and tag’ clause. This is where shareholders can tag onto the sale of other shareholders’ shares, if an offer is made. Or they are dragged onto the sale if the majority of shareholders want to sell. With a partial sale you’ll have to consider when your eventual exit will be and how the remaining shares will be sold. This must be part of the sale agreement and you should take professional advice to ensure the value of your shares doesn’t decrease. If you like being your own boss I suggest you don’t go down the partial sale route! It’s likely that the buyer is used to running his or her own business. This could lead to disputes, even during negotiation and purchase stages. It could add to the cost as well if the sales process takes longer than expected. An alternative approach is to employ someone to run your company for you and to continue taking a salary. This might be better for you, especially if you want to retire. If a buyer asks for information or documents, could you provide them immediately? Good systems and up-to-date paperwork shows the buyer you know what you’re doing and gives them the confidence they’re making the right decision. Ensure contracts you have for staff, subcontractors and suppliers include a clause on change of ownership. This sounds obvious, but many businesses don’t actually own their domain names. Quite often, especially for smaller businesses, ownership or registration can still be with the website design agency. Domain names can be worth a large amount and websites are crucial to trading in the 21st century. Make sure that your domain name is registered to your business. Ensure your software licenses are up-to-date and paid for, and you have proof. Check registers of shareholders, directors, charges, share certificates, articles of association, and minutes of meetings are up to date. If you have robust accounting systems in place you’ll easily be able to give clear meaningful data and report. A buyer will want this to make an informed decision about buying your company. Ideally the company could run without you now, with a good team, the right software, plus clear procedures and processes. If not I suggest you put this in place now, before you are ready to sell, as it will save you time, energy and money. Ensure that you’ve finished key projects or have launched new products when you come to sell. A strong order book and good client base will ensure you can attract a good offer. Ensure you make the business look presentable and as neat as possible. A lick of paint, if your premises aren’t too large, and a de-clutter can add to the value and certainly will help make the right first impression. Consider who might want to buy your business. In my experience, if you have a strong company with a good reputation, your buyer could be an employee, supplier, client or competitor. There will nearly always be a handover period with your buyer. This will include you introducing them to staff, clients, suppliers and the way your business operates. This will be part of the agreement. Your buyer may want to keep you on as an employee or director for an agreed period of time, to make sure they fully understand how to take the business forward. The handover period could take only a few weeks or a few years. We’ve looked at preparing your business for sale. In my next blog I’ll be talking about the actual process of selling your business. Please get in touch if you’d like more detailed advice on selling your business. Today I’ll be talking you through some of the more detailed terminology that professionals use. I’ll be looking at preparing the business for sale and the sales process in other blogs. This is based on UK legislation, but is relevant to most markets and jurisdictions. The sales process includes negotiations with your buyer so you need to understand the different ways to value a business. Selling a business can take months and you’ll continue to trade. Some businesses use a valuation method that is applied at completion of the sale. I’ll be explaining six key methods of valuing a business for sale. Some of this may be a little heavy but at least it will give you the knowledge so you understand what to expect when the time comes to sell your business. This method is used where your company generates roughly the same amount of profits every year. The buyer can expect to get his or her money back in three, four or five years, dependent on what multiplier figure was agreed. For example, your business has a yearly net profit of £80,000. The buyer pays £320,000 at a multiplier of four. Your buyer will want to analyse your figures to see what happens when you and your costs to the company are taken out of the equation. Depending on how much money you normally take from your business will determine whether the true profits go up or down. This will impact on the multiplier figure. If your business has experience high growth in the last year before you decide to sell, your buyer will want to take a different method. The buyer won’t want to base the sales price of your business on those profit figures. He or she won’t know if these figures are going to continue. They’ll use an average calculation based on the profit figures of the last few years. Some valuations are done using EBIT – this means calculations are based on earnings before interest and tax. Others use EBITDA which uses earnings before interest, tax, depreciation and amortisation. This is based on projected cash flow for the next few years. It takes inflation into account to give a net present value. This method needs more explanation than I have time for here. If you’re interested in learning more please speak to an advisor. This is based on the funds left over if all assets of the business were sold and all debts paid off. It’s the net asset value. Experts would need to research, value and agree the current market value of each of your assets. Your buyer may decide to take on your debts or ask you to settle them before sale. For example your business owes £50,000. The buyer either takes on those debts and pays you £50,000 less, or asks you to settle those debts and pays you the full asking price. If your business has a large bank balance, you’ll have to decide whether to take the cash out before the sale or include the cash into the sales price. You’ll need to see a tax advisor to work out your best option. You will have a preference for which valuation method works best for you. As will your buyer. Be ready to negotiate. We’ve looked at different valuation methods. So in my next blog I’ll be giving advice on preparing your business for sale. There‘ll come a time when even the most committed business owner decides to exit the business and sell it, or pass it on to another. So how does that process work? How can you be sure you’re getting the best price? When’s the right time to sell? Your business has probably been a major part of your life, and has taken many years to make a success. You’ve put in long hours and probably set it up from scratch. There have probably been quite a few personal sacrifices. It is something you have created so you want to make sure it’s in safe hands when you exit. You also want to ensure that you get its full value, so that you have money to invest in your future whether it’s another business or retirement. Today I’m talking about the first stage in selling your business, the valuation. 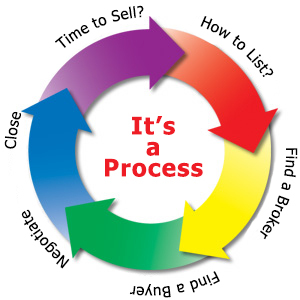 In my next few blogs I’ll explain the stages of preparing the business for sale and then the actual sales process. This is all based on UK legislation, but it’s mostly relevant to selling a business anywhere in the world. So how much is your business worth? Put yourself in the buyer’s shoes. Why should they buy your business? Your company’s value will depend on what other options they have and their objectives. You really need to know your company’s strengths. These are the reasons for someone to buy your business. Don’t worry too much about the ‘problem’ areas of your business. The new buyer will bring different experiences, staff members and suppliers – so the problems you face could be irrelevant to the buyer. And if you plan to sell the business in a few years, you’ll have time to grow it and further increase its value. A buyer will mainly be interested in whether your company generates profits. If for example your company generates a £50,000 profit every year, you might get a price of £200,000 and the buyer will get a 25 per cent return each year over the next four years, until they have made their money back. Of course, I’m simplifying this for the video. There would be costs associated with for example meeting interest payments. But you understand the general approach. Your percentage of market share is also important for the buyer. If your buyer has a business in the same industry or sector they could see this acquisition as a way to gain market share quickly. Other options would take time and money in the form of new sales and marketing strategies or discounting to gain clients from competitors. And in purchasing your company, they have one less competitor! What intellectual property do you own? Inventions, trademarks and patents are highly relevant. All will add to the value of your business. Does your company have a good reputation? Does it have a strong brand? These so-called intangibles are proving increasingly valuable. For example Manchester United has a brand value of $1billion – according to the Brand Finance Football 50. Check your client list. Some of your clients may be highly desirable to your buyer. They are a key asset and could be a main reason for the buyer wanting your business. Has the buyer unsuccessfully pitched to one of your major clients? If you won the contract and they didn’t, it speaks volumes about how effective your company is at winning contracts and providing great products and services. Your products and services could complement your buyer’s offering. In buying your business the buyer can offer a new product or service quickly to their customers. Relationships with suppliers are important in valuing your business. It can take years to build up trust and good credit terms with suppliers. The buyer may be attracted by the calibre of your staff or your track record in research or development. Buying the business means the buyer won’t have to invest in recruitment fees and training. Buying another business is also a quick way to scale up. The buyer immediately has more staff, premises, equipment and market share. We’ve all heard the expression ‘location, location, location’. The buyer may have premises in other parts of the country and wants to open in your area. Is your company established in the desired location with local customers, suppliers and a good market share? If yes, buying your business could be the best option. A buyer may have identified opportunities to consolidate departments, staff and contractors, to reduce overall costs and increase profits. So here we’ve looked at what’s important to the buyer and what can boost the value of a business. In the next blog I’ll be explaining valuation in more detail. Please get in touch if you’d benefit from advice selling your business. So my last 2 blogs should have made it clearer as to how your business will be valued and how to prepare for sale. Here I will try to guide you through the sales process, very quickly, so you know what to expect, when the time comes. You will need to employ a transfer agent or a business broker to manage the sale for you, unless you have plenty of time on your hands and an amazing accountant! Letting someone else manage the process for you means you can continue running your business. A business broker can help with a lot of the preparation work, market and promote the sale of your business, validate prospective buyer’s credentials, give guidance on the valuation, and assist with all meetings and negotiations with all parties. Because they have gone through the process many times they know what is likely to go wrong, so can avoid these problems, and will probably save you time and money. It can take 6 months to 2 years to sell your business, so having someone else do it for you means you are not distracted from running your business for that long! Business brokers may charge by the hour or agree a success fee when your business is sold. Average is upwards of 3% of the sales price. They may ask for a setup fee to start of around £3,000 as well. If there is no setup fee then you may be looking at more like a 5% commission on sales price. Some may ask you to agree to a set fee, but I don’t recommend this. Make sure you read the small print in your contract with them, especially the cancellation clauses, so you are not left out of pocket, should you change your mind. A transfer agent will act similarly to an estate agent and will advertise your business for sale along with many others. They do not get as involved as business brokers. Choose a broker or agent that has experience selling businesses in your market. You also need to get on as it can be a long process. When selling and marketing use an anonymous profile, summarising the business, its revenue, profits and cash. Share where it is located, reason for sale, and contact details for further information. Maybe advertise in your industry’s trade press to attract competitors to buy. You could try directly mailing companies that might be interested in acquiring your company with targeted letters. Some good questions to ask each potential buyer are: Why your business? Have they been looking to acquire a new business long? How are they going to pay? The first thing to get in place is a confidentiality agreement to protect your business information from being leaked to all and sundry. Once this has been agreed and signed the buyers can be sent further, more detailed company information. For example, Profit and Loss projections, Cash flow projections, the last 3 years audited accounts, products and services sales history, etc. Your accountant will provide the financial supporting documents that your buyer will require. You will then be left with a few prospective buyers that will want to meet with you, or your brokers, face to face. Do this away from your premises initially. The buyer will usually take the lead during the meeting as they will have loads of questions to ask. You need to come away from the meeting knowing how soon they might want to complete, how long will the handover period be, will they need you to be still involved and at what level and for how long, will they be keeping on your staff. Do your research on your potential buyer. Have they bought businesses before? For what value? Work out what you want from the sale. Be ready to make compromises and make sure the deal is fair for both parties. Always stay positive and work with the buyer to find a solution to any sticking points in the negotiations. You will then be able to put together your Heads of Agreement which will outline the main terms of the sale. I.e. Price, when paid, and any handover period. This is the starting point from where the actual contracts will be created. Make sure you also know the tax implications of selling your business and seek advice where necessary. Also seek out a financial advisor to help you make the most of the sale proceeds. Due diligence is where your buyers advisers will investigate your business. They will look at contracts, financials, assets, stocks, customer and supplier lists, your operations, your staffing, bank records, etc. They‘re trying to ascertain that what you have said about your company is true. The buyers solicitor will usually draw up the contracts and initiate the due diligence process so therefore have the higher costs. Your solicitors will still need to review all documents to safeguard your interests. Your solicitor should be with you at all meetings after the initial one. Make sure you agree their fees before appointing them. The contract will include the outline in the Heads of Agreement, any items raised during due diligence, standard clauses based on conventions, if there are future payments agreed what guarantees are to be put in place, restrictive covenants so you cannot setup and compete with your buyer, and cannot poach clients or suppliers, the consideration or sale price, any warranties, a non-embarrassment clause, a service contract for you if you are taking on a role, shareholders agreements, share options agreements, etc. It will be over 50 pages long! You will need a tax clearance letter from HMRC to assure they are OK with the deal and that they will not challenge it. Your accountant or solicitor will sort this for you. Negotiations will take time and contracts will probably be amended many times before both parties are satisfied. At the final signing you should have with you the statutory books, the certificate of registration, and all share certificates, keys to your business, and bank cards and cheque books. You will have to sign a lot of documents and all signatures must be signed by witnesses. Just like buying a house, the buyer will have transferred the funds into his solicitors bank account, for them to send onto your solicitor, and then into you – less their fee. The announcements of the sale will then take place. This will have to be agreed with your buyer as you do not want to upset them, clients, suppliers or staff. Staff will either be TUPE across or they may face redundancies. If you are being kept on as an employee or consultant then a big part of your role will be to help the new buyer reassure staff and to calm any volatile situations. It will also help the new buyer if you contact the current suppliers and customers to explain the change of ownership and that it is business as usual. Things will change but not immediately. So I hope this has been helpful. It’s a very daunting process and that’s why most people seek outside help. In my next 3 blogs I will talk about the different systems and process, which you should have in place, when you come to sell, and why they are important. 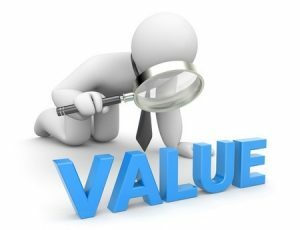 I hope you found my last blog useful on the valuation of your business. This blog will cover the preparation needed to sell your business and my next blog, part 3, will explain the sales process. Before you start to prepare your business you must decide on whether you will walk away entirely or remain an integral part. Do you take on a different role? Maybe you only sell part of your organisation. Maybe staying on as a partner, director or shareholder is for you. The simplest option would be to sell the business in its entirety and just walk away. A partial sale is another option and can have many advantages, but obviously also has many more things to consider. By selling part of your business you can still have an income from it, you can be part of all decision making, (but be aware that if your % shareholding drops to below 50% you may have to go along with what others want), and you will receive a lump sum of cash to use where you want i.e. further investment or other projects. This is a lot less risky as you are divesting your assets, which means less stress and a better work life balance. Also, the buyer will see that if you want to keep part of the business you must be confident that the business is in good shape. You will need proper shareholders agreements in place to protect you against the buyer making decisions to reduce your shareholding or increasing their salaries to reduce the profits – which will reduce your share value. The agreement will contain details of everything that will need shareholder’s approval. How much salaries and expenses are paid. The issuing of further shares to anyone. Dividend distribution. Any drag and tag clauses. This is where shareholders can tag onto the sale of other shareholders shares, if an offer is made, or they are dragged onto the sale if the majority want to sell. With a partial sale you will have to consider when your eventual exit will be and the remaining shares will be sold. This must be part of the sale agreement and you should take proper advice to ensure the value of your shares does not decrease. If you like being your own boss I suggest not going down the partial sale route! Chances are that the other party have been used to running their own organisation too, so this could lead to many disputes, and will add to the cost, time and how smoothly the whole sales process runs. When it comes to retirement plans you could just employ someone to run your company for you and continue taking a salary from it. There will nearly always be a handover period with your buyer when selling your business. This will include you introducing them to clients, suppliers, staff and the way your business operates. This will be part of the agreement and maybe only a few weeks or could be a few years. You may sell 100% of your shares but your buyer wants to keep you on as an employee or director for an agreed period of time, to make sure they fully understand how to take your business forward. So what about your operational processes? Are these in order? If a buyer asks for a certain piece of information, or supporting documents, can you give it to them immediately? These things need to be sorted and efficient to show the buyer you know what you are doing and will allow them to have confidence that they are making the right decision to buy your company from you. You must have proper contracts in place for all staff, customers, suppliers, and subcontractors. All these must contain clauses regarding what would happen in the event of change of ownership of your organisation. It is best if you own your websites and domain names. Certain domain names can be worth a large amount. Make sure that your domain name is registered to your business. Any software you use will have to be correctly licenced and fully paid for, and you must have the proof for this. How are your statutory books looking? Registers of shareholders, directors, charges, share certificates, articles of association, minutes of meetings etc. Are these all up to date? Have proof to hand of all corporation tax and VAT returns that have been filed. Is your accounting system robust and giving you clear meaningful data and reports? A buyer will want this to make a better informed decision about buying your company. Have a good team in place so that the company could run without you if it had too. Having the right software and clear written down procedures and processes will ensure your company runs smoothly and I suggest this is something that you look to put in place now, way before you are ready to sell, as it will save you time, energy and money. Make sure all projects are finished or new product launches are closed off. I.e. do not have anything that you are in the middle of when you come to sell. Don’t be reliant on a small number of clients when you come to sell. Your buyer will see this as a negative and may try to reduce their offer. Cosmetically make sure the premises are clutter free and looks as best as it can for the buyers initial visit, without spending a fortune. On the years leading up to the sale of your business, really improve and work on your relationships with your main suppliers, customers and competitors. These may be the best people to approach when you first come to sell. Maybe some of your managers, who are already helping you to run your business, may want to buy the business from you. I hope this has given you an idea of what you need to prepare in advance of selling your organisation. Watch out for the final part 3 on what the selling process involves. I talked about falling back in love with your business again in my last blog, but there will come a time when you want to exit your business and either sell or pass it on to others. So how does that process work? What do you need to think about? How can I be sure I am getting the best price? How long will the process take? When is the right time to sell? I hope to answer these questions for you in this blog (part 1) and my next two blogs (parts 2 &3). This blog will cover valuation of your business for sale. Part 2 will explain the preparation and part 3 the sales process. The information is based on UK legislation but most of what I will talk about can be applied throughout the world. Your business has probably taken you many years to make it a success. You have put in long hours and probably set it up from scratch. It is something you have created so you want to make sure it is in safe hands when you exit. I expect the most important question for you would be “How much can I sell my business for”? Put yourself in the buyer’s shoes. Why should they buy your business? Your company’s value will change in the buyer’s eyes depending on what other options they have and also their outlook and attitude. You really need to know what your company’s strengths are, as these are a reason for someone wanting to buy your business from you. Don’t worry too much about the “problem” areas of your business as the new buyer will bring different experience and possibly other staff members and suppliers, etc. so the problems might not matter in the future. If your sales plans are a few years away then you have time to grow your business, and have it set up to increase the value a whole lot more. A buyer will primarily be interested in whether your company generates profits. Say your company generates £50k profits or more every year, you might get a price of £200k+ and the buyer will get a 25% return over the next 4 years, until they have made their money back. Your % of market share is also important for your buyer. If your buyer already has a business in the same industry then they might see this acquisition as a way of having more of the market share, very quickly. Their other options would take time and money in the form of new sales and marketing strategies or discounting to gain clients from competitors. Also by buying your company you are no longer their competition! What intellectual property do you own? Inventions, trademarks, patents. All will add to the value of your business. Does your company have a good reputation? Is there any branding? Some of your clients may be highly desirable to your buyer. Maybe your buyer has already pitched to your client but you won the contract and that is what has sparked the interest in them buying your business. If you won the contract and they didn’t it speaks volumes about how effective your company is at winning contracts and providing great products and services. Your current clients are also a big asset and reason for the buyer wanting to have your business. It maybe that your products and services compliment your buyers offerings, and this is a quick way for them to start offering new product lines to their existing customers. Your relationships with your suppliers are equally as important. It can take years to build up trust and favourable credit terms with your suppliers. If you already have a strong team of employees, who know your business inside and out, then this is a far better way, for the buyer, to tap into this expertise, rather than having to pay out on recruitment fees and training. Buying another business is also a quick way to scale up your business. They immediately have more staff, premises, equipment, market share, etc. It might be the location of your business that the buyer is interested in. They might already have premises in other parts of the country and want to open in your area. If your company is established in the desired location with local customers, suppliers and a good market share, they see buying your business as the easiest option. The buyer may be able to reduce your costs after buying by consolidating staff and contractors. I.e. they may already have a good accounts department so may not need all of the staff from both companies. This will give the buyer bigger profits almost immediately. Obviously the sales process includes negotiations with your buyer so you need to understand the different ways to value a business. The sales process can take months or weeks. You will continue to trade during this time so some businesses use a valuation method that is applied at completion. This method is usually used where it can be proved that your company is generating roughly the same amount of profits every year. The buyer can be pretty sure that he will get his money back in 3, 4 or 5 years, dependent on what multiplier figure was agreed. I.e. yearly net profits are £80k; buyer pays £320k at a multiplier of 4. Your buyer will want to analyse your figures to see what happens when you and your costs to the company, are taken out of the equation. Depending on how much money you normally take from your business will determine whether the true profits go up or down, and therefore will affect the multiplier figure. If your business has experience high growth in the last year before you decide to sell, then your buyer may not want to base the sales price of your business on those profit figures as they have no way of knowing if these figures are going to continue. They will use an average calculation that will be based on the last few years profit figures. Some valuations are done EBIT – based on earnings before interest and tax, and some are done EBITDA – based on earnings interest, tax and depreciation/amortisation. Based on projected cash flow for the next few years, and taking into account inflation, to give a net present value. This method needs further explaining, which cannot be done within this blog, so I suggest seeking out an advisor if you need more clarification. This is based on the funds left over if all assets of the business were sold and all debts paid off – the net asset value. The current market value of each of your assets will need to be researched and formal valuations by experts will need to be produced. Your buyer may either decide to take on your debts or ask you to settle your debts before sale. I.e. you may owe £50k so the buyer will either take those debts on and pay you £50k less or ask you to settle those debts and pay you the full asking price. If you have a large bank balance do you take the cash out before the sale or do you get the buyer to incorporate this into the sales price? You will need to see a tax advisor to work out your best option here. Which method you chose to value your business might differ from the one your buyer wants to use so be ready to negotiate and be prepared. Look out for the next blog on preparing your business for sale.